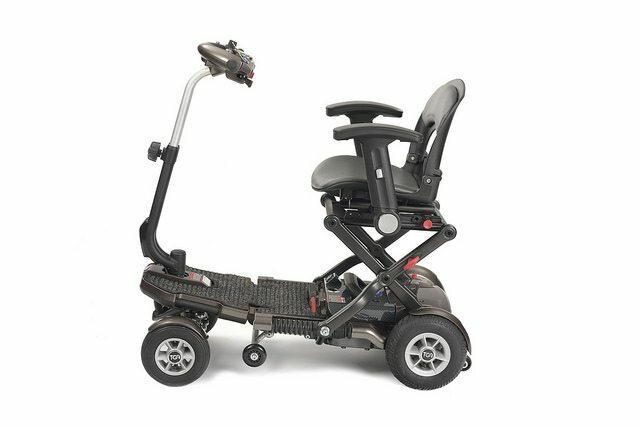 The Minimo Plus Four offers all the positives of the Minimo Plus, only it has 4 wheels for added stability. 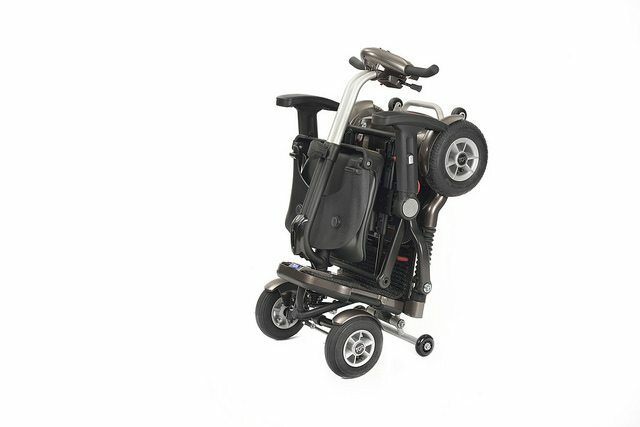 Both ‘Plus’ models have the same compact size and simple folding design as the award winning Minimo, Plus features normally only found on much larger scooters making them the perfect everyday companion for everyone who values their independence. 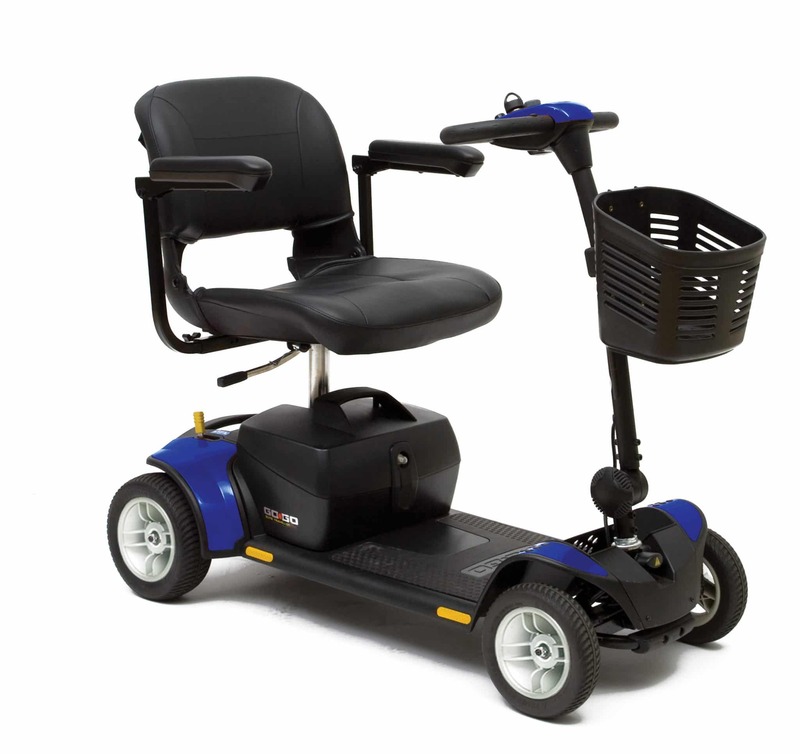 The only difference between the Minimo Plus and the Minimo Plus 4 is the configuration of the wheels. 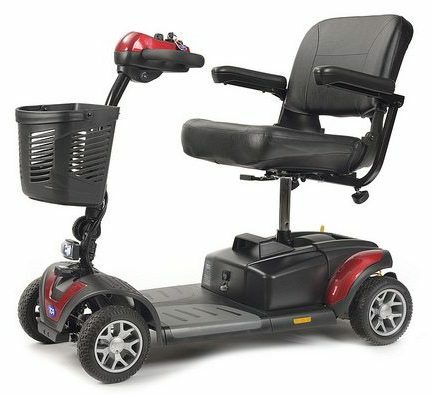 The Minimo Plus has 4 wheels but the front two are positioned close together so it looks and behaves like a more agile 3 wheel scooter. 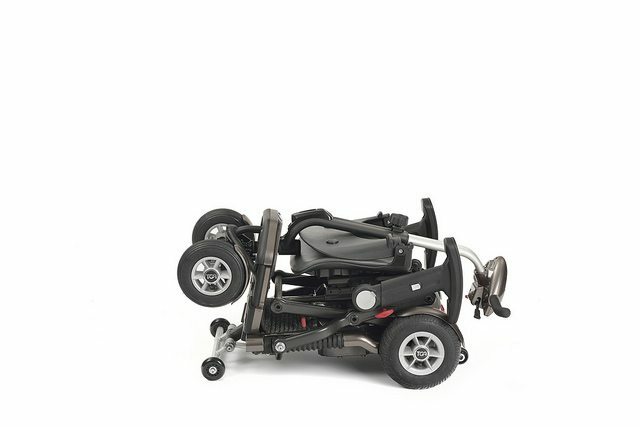 The Minimo Plus 4 also has 4 wheels but the front two are spaced further apart. 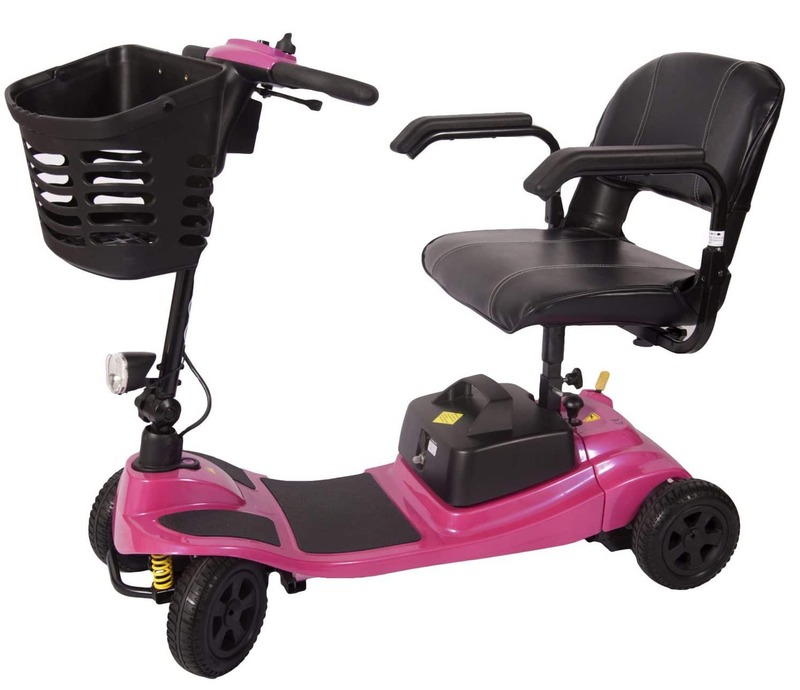 So its configuration is the same as a normal 4 wheeled scooter giving more stability. 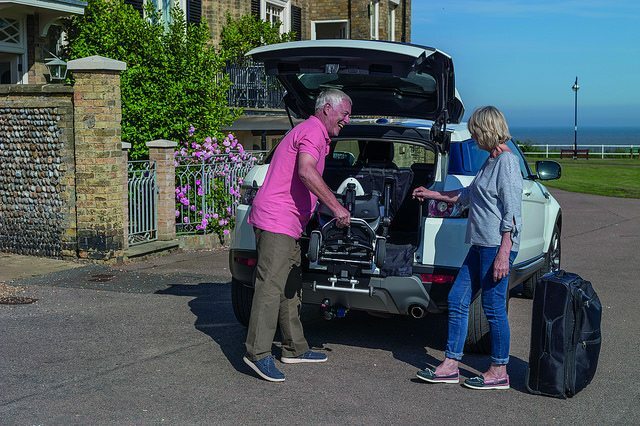 Integrated high visibility LED lights seemingly round off an impressive list of extra features but the Minimo Plus 4 goes further. 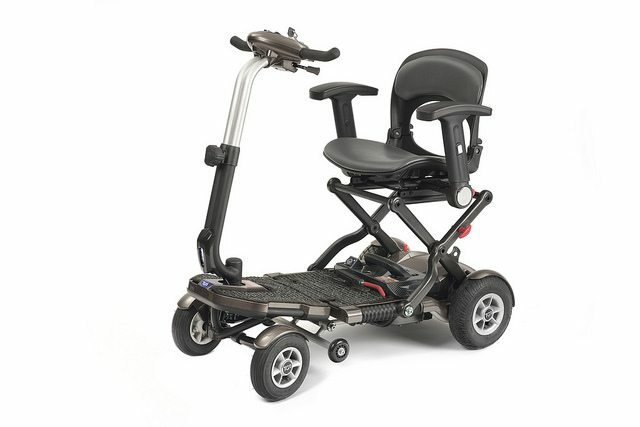 Clever use of incredibly strong but lightweight carbon fibre means the overall weight is kept to a minimum. 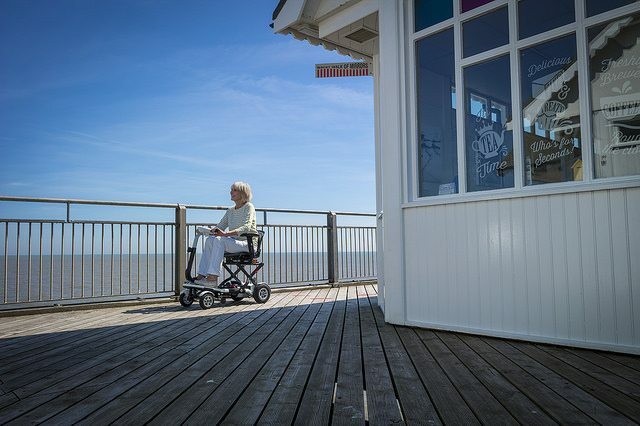 A simple quick release seat means all of these extra features can be had without making Minimo Plus any more difficult to transport or handle. Proof that you can have your cake and eat it! 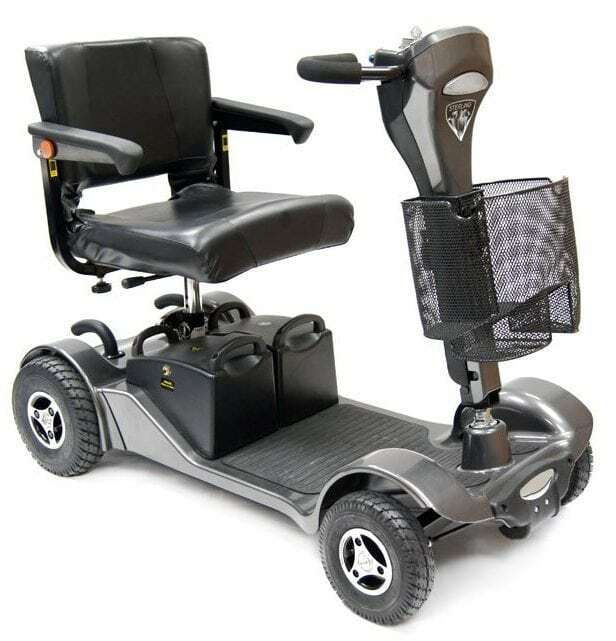 The same great functionality with more features, more range and more comfort, when you upgrade to the Minimo Plus 4 this all means one thing – more independence.